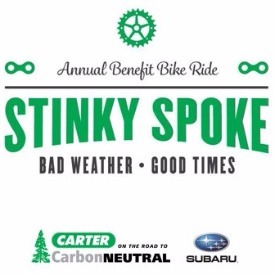 The 11th Annual Stinky Spoke (http://stinkyspoke.org) is an 18-mile mountain bike “poker ride” held on the statistically most-rotten-weather day of the year. The riders start and finish at Redhook Brewery in Woodinville, WA, and follow a route along the Tolt Pipeline, Trilogy, Redmond Watershed, Powerline and Sammamish River trails. Playing cards are collected at stops on the route, with each rider hoping to have a poker hand good enough at the end to win a prize. The beginning of the ride is a painful and amazing scene on “Heart Attack Hill,” as riders attempt to make it up the 300 feet of elevation in ¼ mile without stopping. A cool medallion awaits each who make it! All riders raising more than $250 for our charities get their names in the hat for a second set of prizes. There’s an after-party in a big tent in the Redhook parking lot--with live music, cold beer and hot food. Come out for the kick-off to the Seattle area’s biking year! All proceeds from the event are split evenly between Little Bit Therapeutic Riding Center (www.littlebit.org) and Outdoors for All (https://outdoorsforall.org), plus participants can make specific donations to each individual organization through the event. 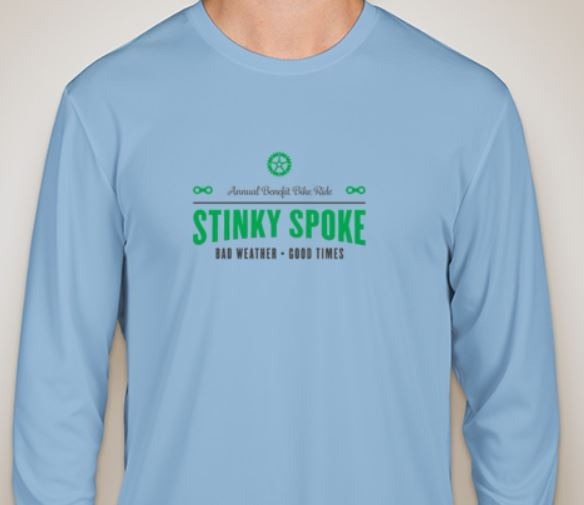 The Stinky Spoke Foundation runs a single event each year. 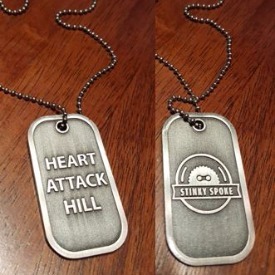 The Stinky Spoke (http://stinkyspoke.org) is an 18-mile mountain bike “poker ride” held on the statistically most-rotten-weather day of the year. The riders start and finish at Redhook Brewery in Woodinville, WA, and follow a route along the Tolt Pipeline, Trilogy, Redmond Watershed, Powerline and Sammamish River trails. Playing cards are collected at stops on the route, with each rider hoping to have a poker hand good enough at the end to win a prize. The beginning of the ride is a painful and amazing scene on “Heart Attack Hill,” as riders attempt to make it up the 300 feet of elevation in ¼ mile without stopping. A cool medallion awaits each who make it! All riders raising more than $250 get their names in the hat for a second set of prizes. There’s an after-party in a big tent at Redhook --with live music, cold beer and hot food. Come out for the kick-off to the Seattle area’s biking year! The proceeds from the event are split 50/50 between two fantastic local organizations that help kids with disabilities engage in outdoor activities: Little Bit Therapeutic Riding Center (www.littlebit.org) and Outdoors For All (https://outdoorsforall.org/).